We are going to create an avatar that represents our personality. You have lots of choices for your avatar. Choose one of the tools below and create your avatar. Make sure you save your avatar! Ask for help if you don’t know how to save it. Wimp Yourself . . . 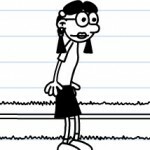 This avatar creator makes a full body avatar based on Diary of a Wimpy Kid! You can choose different hair, clothes etc. When you’re finished save your image and then click on “export image.” Take a screen shot of your avatar and save it as a jpg file using Microsoft Publisher. Ask for help when you’re ready. DoppleMe . . . 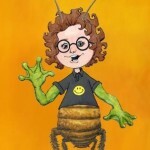 This is another avatar maker that makes cartoon-type avatar. Once you have created your avatar . . . DON’T save it . . . just right-click on the image and “save image as” to save your avatar. Doll Maker . 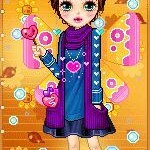 . . this avatar maker is like an animated paper doll avatar maker. You have hundreds of choices for your avatar 🙂 Save as a jpg (under avatar) onto your flash drive and you can use it anywhere.